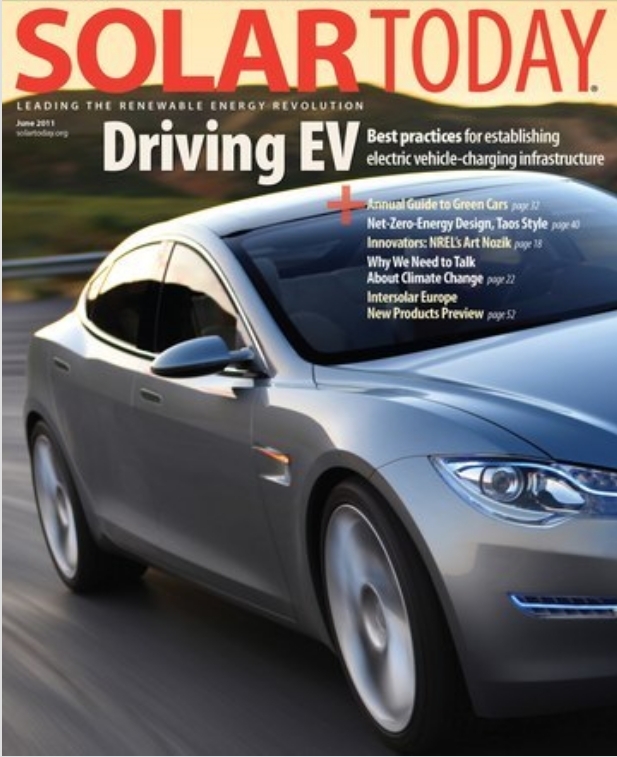 The current issue of Solar Today has their 4 th annual Efficient Cars Roundup. I did not see the first three, but the fourth is a dandy -- partly because there is quite an interesting batch of new efficient cars to look at, and partly because of the excellent data table that is included in the article. The interesting batch of new cars includes several real, honest electric cars (like the Leaf), several real, honest plug in hybrids (like the Volt), and a good selection of regular hybrids, gas engines, diesels, and one Honda CNG powered car. Its nice that we have gotten to the point where hybrids can be referred to as "regular". If you are one of the people (like me) who really wonder whether an electric car with its zero tail pipe emissions is really so squeaky clean when you trace the electricity back to the electric power plant (which has a 50 - 50 chance of being coal fired), then this is a good article to read. The table that comes with the article has columns like: "12K mile E-mode carbon footprint with 100% coal", and "12K mile E-mode carbon footprint with 50% coal". It also includes emissions data for using biofuels, 10 yr cost for both electric and fossil fuels, and more. This is the best summary I've seen as far as being able to make quick comparisons on operating costs and green house gas emissions. Much more helpful than the new EPA new car window stickers. I think that some of the comparisons will surprise you. The article is a free download from Solar Today, and there is even a downloadable spreadsheet version of the table. Gosh, remember when all we cared about was how the car LOOKED? ?